From wintry December to steamy July, flickering candles to blazing fireworks, light transforms the mundane to magical. Children, like adults, are captivated by light – especially when they make the magic themselves. This lighted lantern project helps children do just that – and provides an easy and motivating introduction to 3D design. 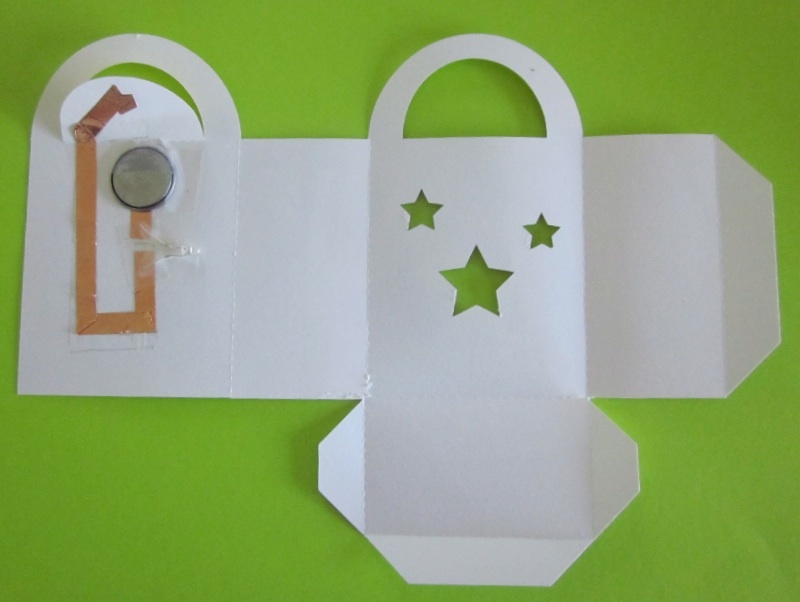 Kids can create a lantern from paper or cardstock and light it with either an LED votive or simple circuitry. They sometimes start with a template, but deeper learning occurs when children modify the design or, better yet, start from scratch. To make a lantern from scratch, our students use Fab@School Maker Studio. They click to add ready made shapes, resize to customize, and snap parts together using the Magnetize tool to align. When shapes are snapped, the app automatically makes fold lines, so it’s easy for kids to create a flat pattern or net that folds into a 3D object. Using the Tab tool, kids can automatically create tabs for easy construction. Because Maker Studio facilitates the mechanics, students focus on design, critical thinking, and creativity. Math is integral to the process, so problem solving doesn’t feel like an assignment. If kids plan to light their lantern with an LED votive, they determine an appropriate size and use the grid, manipulative ruler, or Show Dimensions to meet their specifications. If they want to include circuitry, they design a switch and use copper conductive tape, a coin cell battery, and a 3mm LED bulb. Students arrange parts so their design folds into a lantern and preview their construction in 3D view. As you would expect, most constructions require multiple iterations. Building 3D shapes from the ground up in this fashion requires more thought than dragging a solid from a library and letting the software generate the net. The process supports the development of spatial reasoning and transformational geometry skills. Students customize their lanterns with graphics or cutouts for holidays like Halloween or birthdays. 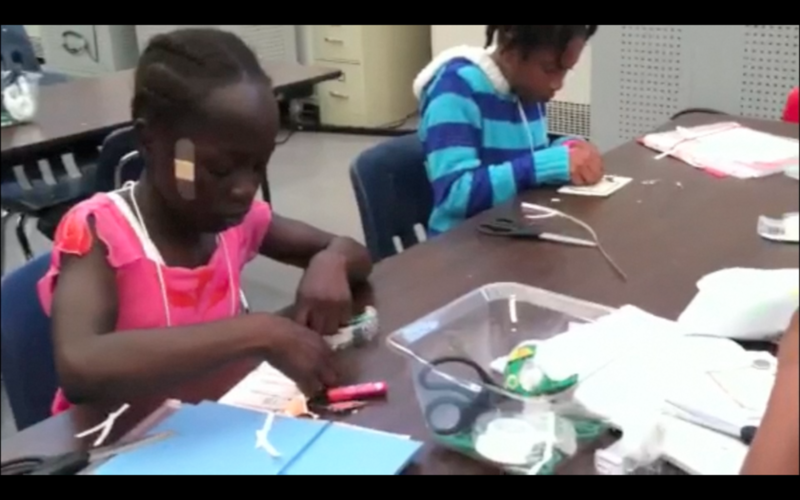 Some kids design their own nightlights. Others transform lanterns into buildings to create a cityscape. Adults get into the act, too. One bride-to-be created lighted favors for her shower. Hands-on activities are especially motivating when they connect to students’ lives and result in a useful product. They engage a broad range of learners, including students who don’t connect to more traditional instruction. These compelling projects have the power to light up learning. And that is meaningful magic. Fab@School Maker Studio has been piloted by hundreds of students. Version 1.0 will be released in January 2016. Click here for more information.